What is the cheapest way to get from Coober Pedy to Alice Springs? The cheapest way to get from Coober Pedy to Alice Springs is to drive which costs $85 - $130 and takes 6h 38m. What is the fastest way to get from Coober Pedy to Alice Springs? The quickest way to get from Coober Pedy to Alice Springs is to drive which costs $85 - $130 and takes 6h 38m. Is there a direct bus between Coober Pedy and Alice Springs? 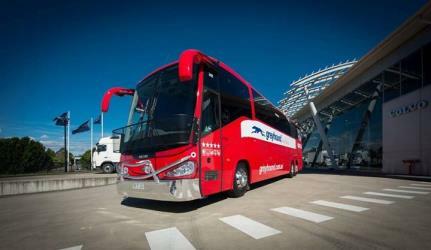 Yes, there is a direct bus departing from Coober Pedy and arriving at Alice Springs. Services depart once daily, and operate every day. The journey takes approximately 9h 40m. How far is it from Coober Pedy to Alice Springs? The distance between Coober Pedy and Alice Springs is 597 km. The road distance is 688.9 km. How do I travel from Coober Pedy to Alice Springs without a car? The best way to get from Coober Pedy to Alice Springs without a car is to bus which takes 9h 40m and costs $90 - $260. How long does it take to get from Coober Pedy to Alice Springs? 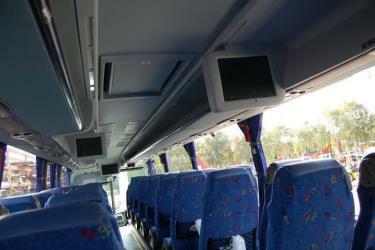 The bus from Coober Pedy to Alice Springs takes 9h 40m including transfers and departs once daily. Where do I catch the Coober Pedy to Alice Springs bus from? Coober Pedy to Alice Springs bus services, operated by Greyhound Australia, depart from Coober Pedy station. Bus or fly from Coober Pedy to Alice Springs? The best way to get from Coober Pedy to Alice Springs is to bus which takes 9h 40m and costs $90 - $260. Alternatively, you can fly, which costs $480 - $650 and takes 18h 49m. How long is the flight from Coober Pedy to Alice Springs? There is no direct flight from Coober Pedy Airport to Alice Springs Airport. The quickest flight takes 24h 25m and has one stopover. Where does the Coober Pedy to Alice Springs bus arrive? 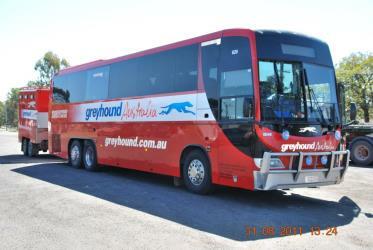 Coober Pedy to Alice Springs bus services, operated by Greyhound Australia, arrive at Alice Springs station. What companies run services between Coober Pedy, SA, Australia and Alice Springs, NT, Australia? 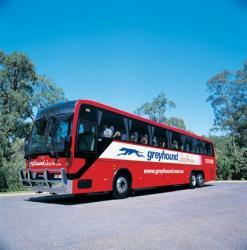 Greyhound Australia operates a bus from Coober Pedy to Alice Springs once daily. Tickets cost $90 - $260 and the journey takes 9h 40m. Alternatively, Regional Express, Qantas and three other airlines fly from Coober Pedy to Alice Springs 4 times a day. Can I drive from Coober Pedy to Alice Springs? Yes, the driving distance between Coober Pedy to Alice Springs is 689 km. It takes approximately 6h 38m to drive from Coober Pedy to Alice Springs. Which airlines fly from Coober Pedy Airport to Alice Springs Airport? Virgin Australia, Jetstar, Regional Express and Qantas offer flights from Coober Pedy Airport to Alice Springs Airport. Where can I stay near Alice Springs? There are 27+ hotels available in Alice Springs. Prices start at $76 AUD per night. How do I get to Coober Pedy (CPD) Airport from Coober Pedy? The best way to get from Coober Pedy to Coober Pedy Airport is to taxi which takes 9m and costs $11 - $14. The Alice Springs Reptile Centre is a privately operated reptile centre and environmental education facility in Alice Springs in the Northern Territory of Australia. It has the largest collection of reptiles in the Northern Territory. Animals at the centre include the Perentie Goanna, Frill-necked Lizards, Thorny Devils, large and small pythons and venomous snakes including Inland Taipans, Brown Snakes, Death Adders and Mulga Snakes. The centre is a popular tourist destination, particularly for children. The Alice Springs Desert Park is an environmental education facility in Alice Springs in the Northern Territory of Australia. ANZAC Hill is located in Alice Springs, Northern Territory. A popular walk in Alice Springs is along the Lions Walk to ANZAC Hill. This observation point gives panoramic views over the township of Alice Springs. Anzac Hill is also a Geodetic Fundamental Point for Surveyors, and levels are taken from a marker on the hill. Olive Pink Botanic Garden is a 16 ha botanic garden in Alice Springs in Australia's Northern Territory, specialising in plants native to the arid central Australian region. Rome2rio makes travelling from Coober Pedy to Alice Springs easy. Rome2rio is a door-to-door travel information and booking engine, helping you get to and from any location in the world. Find all the transport options for your trip from Coober Pedy to Alice Springs right here. Rome2rio displays up to date schedules, route maps, journey times and estimated fares from relevant transport operators, ensuring you can make an informed decision about which option will suit you best. Rome2rio also offers online bookings for selected operators, making reservations easy and straightforward. Need an airport transfer from Alice Springs Airport?